Skills foresight, review of qualifications in use, and the development of international qualifications are only three of a range of activities undertaken by Blueprint’s project consortium. The Erasmus+ funded project is in its second year and up to full speed. Seven organisations supported by two external experts gathered in Leeds, UK to present and discuss first results of ongoing research and surveys. 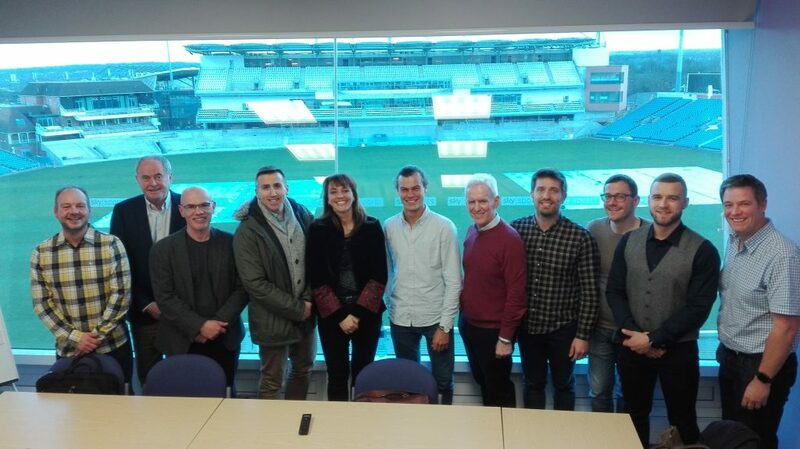 Fellow ENSE member, the International Council on Coaching Excellence, hosted the meeting on March 12-13, 2019 and provided the participants with a stunning meeting location in the Emerald Headingley Stadium. Launched in 2018, the Blueprint project is a three-year project and aims at developing a sector skills strategy for the Active Leisure sector, which combines the fitness and outdoor sectors. During the first phase of the project, the consortium aims at creating the evidence base to identify skills gaps followed by a carefully designed plan and implementation of activities. Ultimately, this will allow to deliver improved, increasingly relevant qualifications that are recognized on a European-wide basis. The partners will meet again in June 2019 in Brussels for a Technical Expert Group meeting, and a full partner meeting will take place in September 2019. In the meantime, you can find out more on the official project website or by following ENSE on Facebook. This entry was posted in News and tagged Blueprint, ENSE, ICCE, Projects. Bookmark the permalink.